Ahhh, fall fishing. Brings a smile to my face just thinking about it. There are some incredibly beautiful bodies of water in the world, but few of them are as breathtaking as Lake Champlain. Depending on where you are it’s also one of the most diverse looking lakes you’ll see. My personal favorite happens to be The Inland Sea, which is located on the Vermont side at the North end. Scattered with islands and the Adirondack Mountains for a backdrop, it’s really tough to beat. 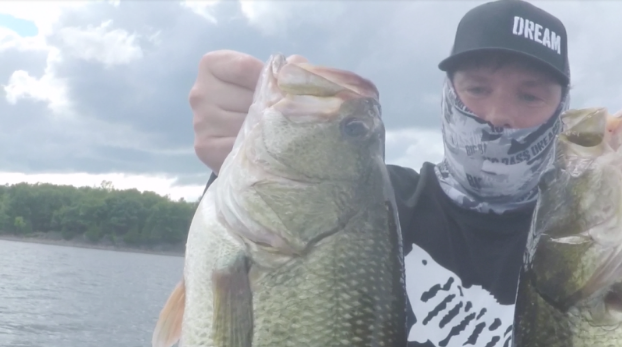 But the fishing is really what brings people from all over the world, and Lake Champlain Fall Fishing can produce some giant Largemouth and Smallmouth Bass. I have been trying to get up there for 4 months to squeeze in a chapter in my upcoming book on smallmouth bass fishing, but weather and life have gotten in the way until I finally decided to make an insane run up and back the same day (over 10 hours total drive time and 10 hours on the water). I grabbed my buddy Anthony Lorefice and headed to Plattsburgh to meet another really good friend of mine, local hammer Jimmy Kennedy (Cabot/Skeeter Pro). I know that many of you saw the video from that trip, but only our inner circle heard how we caught those fish until now. 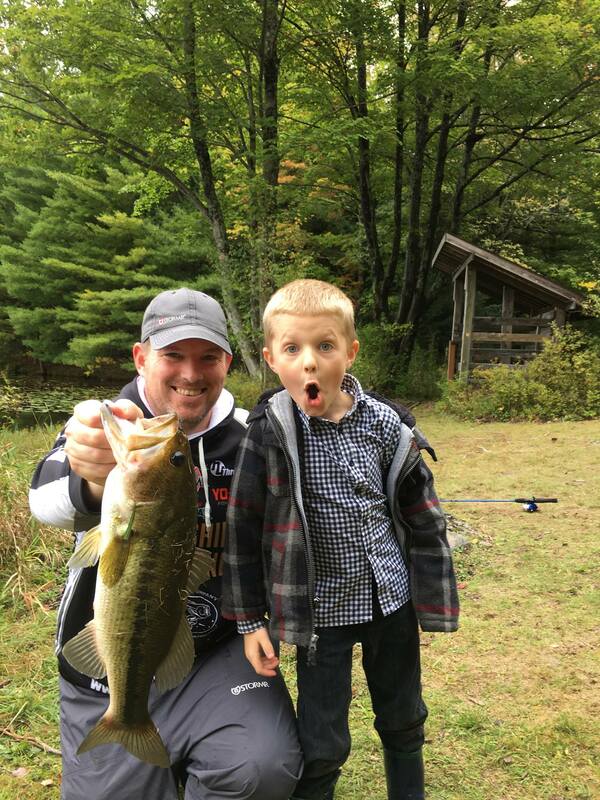 What I like best about Lake Champlain fall fishing is that you can really fish the lake to your strengths. If you want to go froggin’, there’s plenty of mats for that. You want to run a crankbait, you can rip it through the grass. 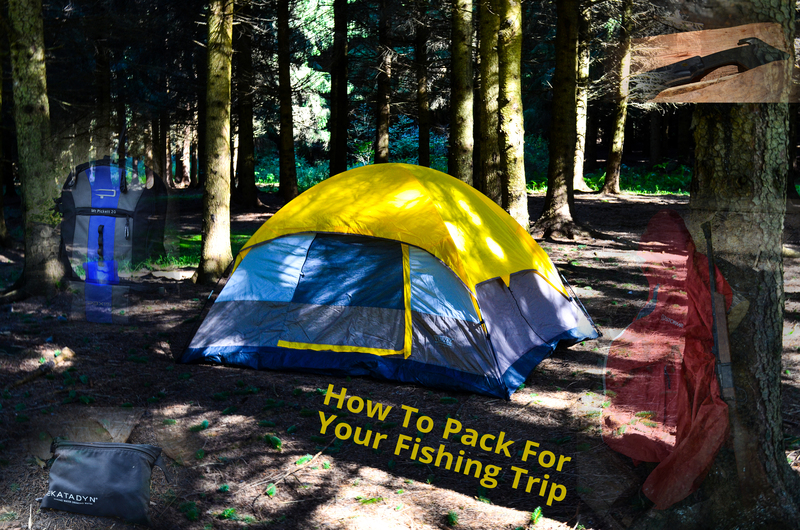 Wanna drag a carolina rig, there are countless points just waiting for your lizard. But if you really want to play a game of giant surprises you need to look a little deeper and throw a dropshot. 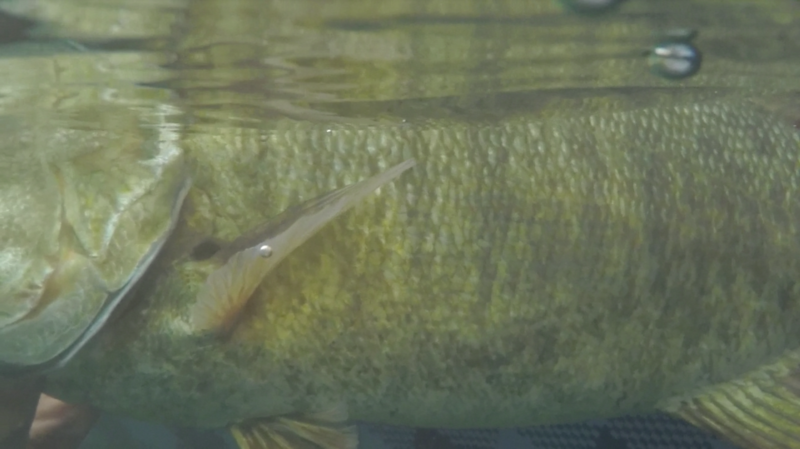 Not only is this a great way to target fish in any weather condition, but this is one of the few lakes in the world where you can target fish with that bait in 20 feet and catch a 5 pound smallmouth one minute and follow it up with a 5 pound largemouth on the same spot on the very next cast. This is exactly what we did there while catching over 50 fish in just a little more than 6 hours (we lost a significant amount of time trying to get fishing licenses while the Vermont system was down). The shallowest we got was around 12 feet, but we spent most of our time between 18 and 30. The key to those fish was to have an extra long leader (3-3.5 feet) and to throw the right color Slammer (white with purple flake). It’s important to note that fish that are this deep require fizzing if you’re going to put them in the livewell for a little bit. If you don’t know what that is or how to do it, it’s something that you should do a little research on. 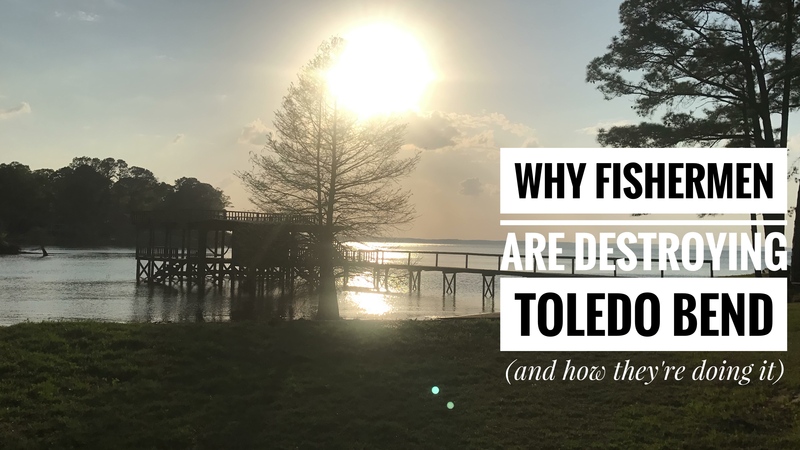 If you’re going to release the fish right away you don’t need to fizz them, they’ll simply return to the bottom if you can get them back in the water quickly. But if you plan to put them in the livewell you will need to release the air from their bladders or they will float and eventually die. You also want to be sure to have an updated Navionics card if you’re traveling here because the terrain can be really dangerous to someone who’s never been before, especially now with the water being so low from the drought that we’ve had in NY and Vermont this year. There are a lot of places where the depths aren’t marked real well, and there are other places that are dangerous because we’ve had a really scary drought this summer in NY and the water is very low. 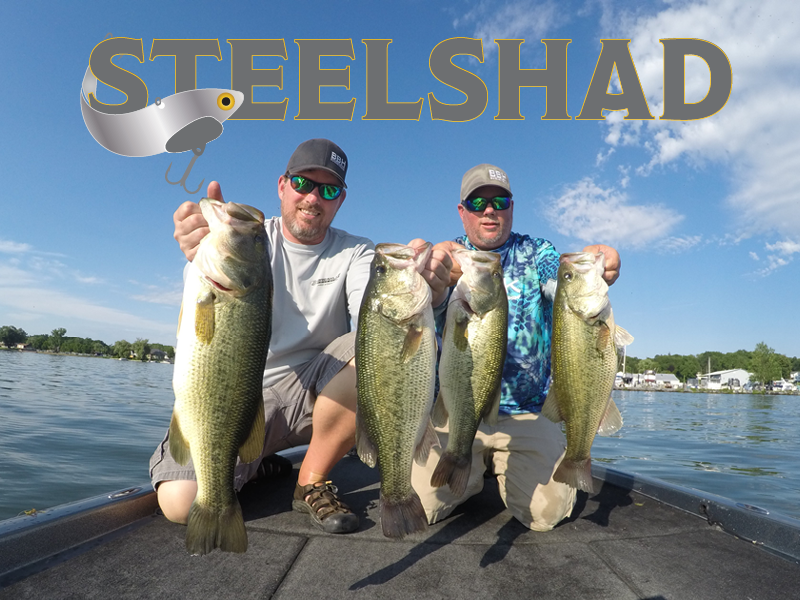 Having updated charts will also dramatically improve your ability to find shoals that are loaded with fish right now (the Inland Sea is loaded with places like this and you can spend all day here and not fish the same spot twice). 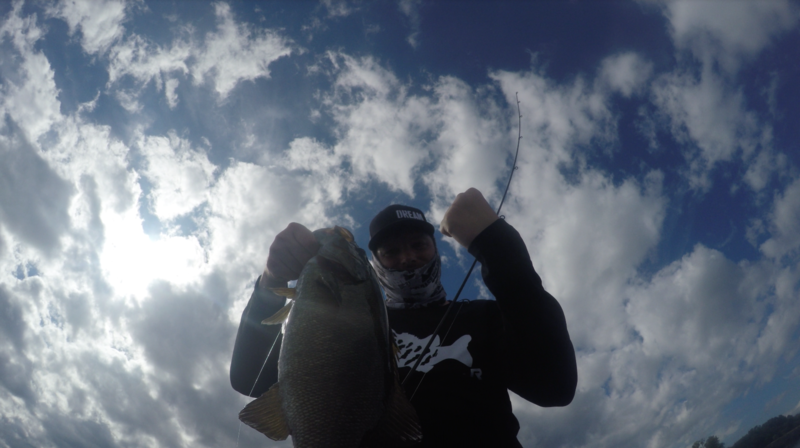 The trick to Lake Champlain fall fishing with a dropshot is simple: long rods (7’6” is perfect), 12 pound fluorocarbon, ½ oz elite tungsten pencil weights, and a yamamoto shad shake worm (Jimmy was using an XZone and Mr. Twister) on isolated rock piles on grass flats. 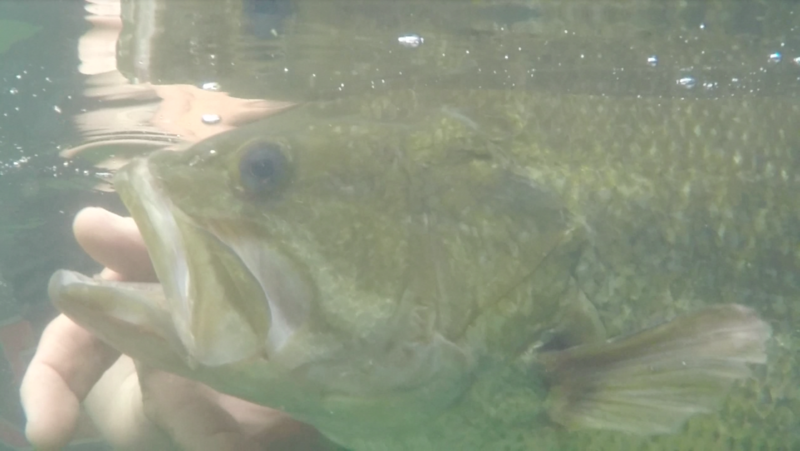 Our best 5 weighed just under 24 pounds, anchored by a 5.85 largemouth that I caught deep on a dropshot. Five minutes before I caught that fish I boated a 5.25 from just a boat length away. We targeted bridges, boulders, submerged points, shoals, rock piles, and underwater trees. Of all the fall fishing trips I have ever been on, this one is in my top five and might be the most fun I ever had on the water in one day. 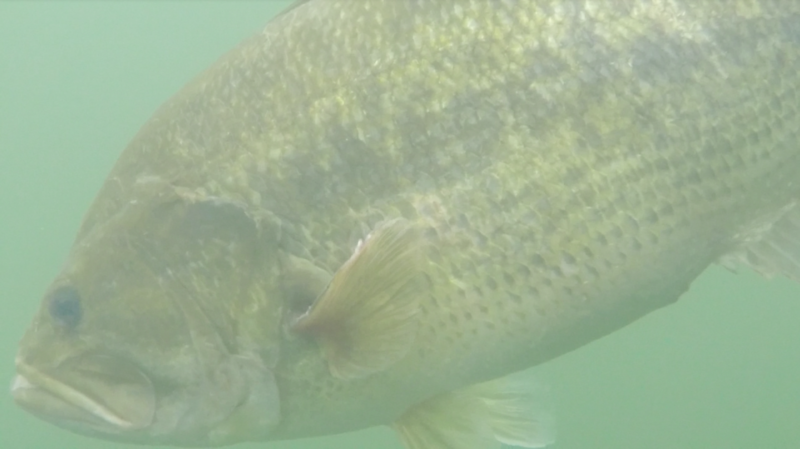 Each of us caught at least one fish over 4 pounds, and there were lots of 3 pound smallmouth caught. 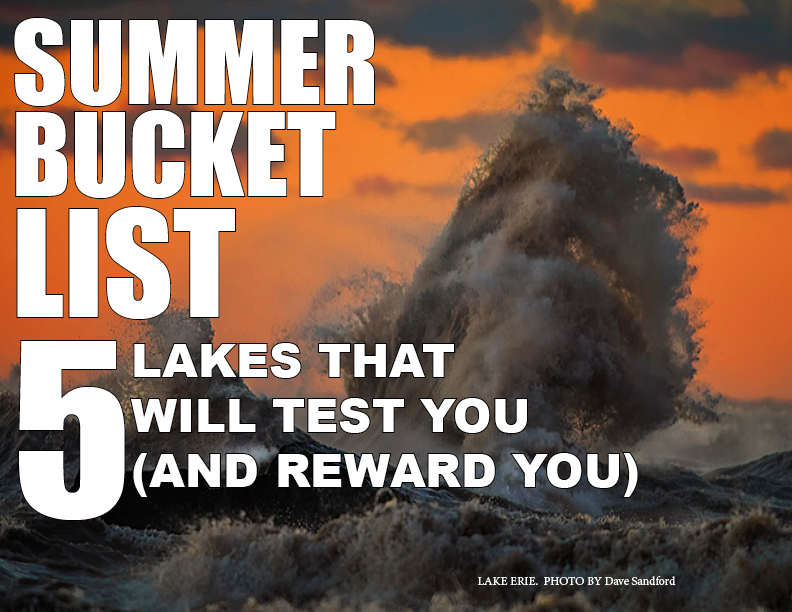 If you’re looking to take one more trip this year, it should be here. 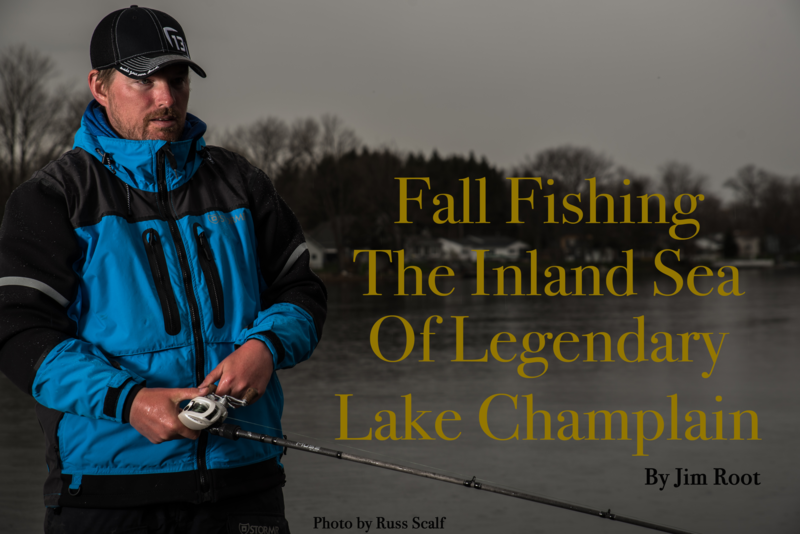 If you are heading out to the Inland Sea to try your luck at Lake Champlain fall fishing, and I recommend you do, make sure you stop and see the folks at Ladd’s Landing Marina in Vermont. It’s just passed The Gut on the Vermont Side, and they’ve got a lot of local knowledge (and snacks) to take with you on the water. If you didn’t see the video, you definitely need to check it out to see all the action from that day. Click here to watch it and subscribe to my YouTube channel. 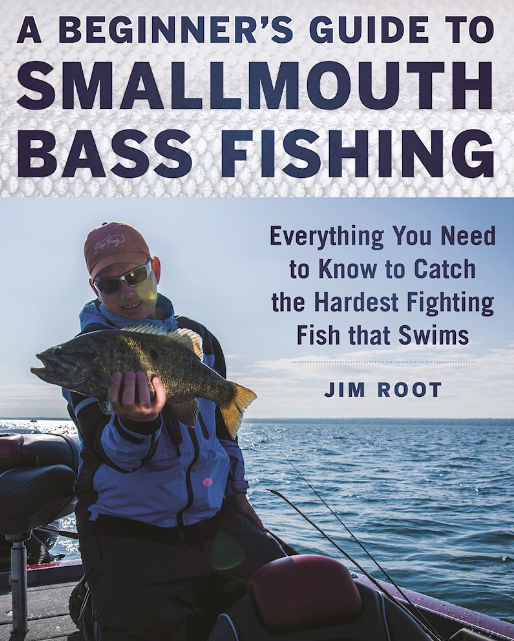 Want more tips on Smallmouth bass fishing? You can get my book today at Amazon.com by clicking here!